For fans of Quentin Tarantino's Kill Bill Vol. 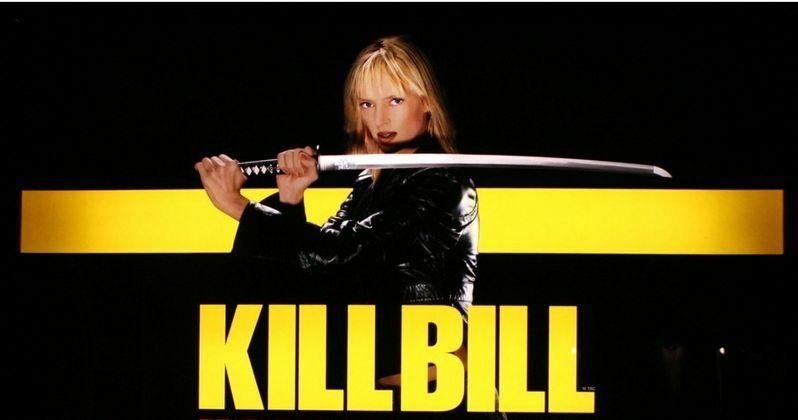 1 and Kill Bill Vol. 2 who were hoping to see Kill Bill: Vol. 3 some day, the director reveals in a recent interview that he has no plans to make that sequel at this time. Though, he does hint at taking on the horror genre. "I've done what I wanted to do by the time I was this age. Today, I'm further down the road. There are no genres I absolutely want to do any more, like ticking boxes: 'This, done'. I don't think about Kill Bill 3 that much, as... we already visited them. If there was something I would like to work on again, it would be Honshu's movies, maybe. Or a horror movie, perhaps." While he doesn't want to revisit the action/kung fu genre with Kill Bill 3, the filmmaker revealed last month that his next project will be another Western. It certainly won't be a sequel to last year's Django Unchained. But will it be another 'true' American Western? His reference to "Honshu's movies," which are Japanese Westerns, may serve as a hint that his next project is set in Japan, and will hold to that style of filmmaking. Quentin Tarantino also talks about how he has previously thought about retiring after making 10 movies (he currently has directed 11 movies, while writing 17 screenplays), and what ultimately changed his mind. "There was a time when I said I wanted to stop after 10 movies, but I went back on the idea. OK, it would sound really cool because it's a round number and it would make sense as I would have made three movies per decade, but it's not fixed in time. I still have some more things to do before being done with movies. Up to now, everything's fine. To me, the last 20 years have gone well: I'm happy with my career, I'm happy to be where I am now, I'm happy with the way my work has been received, inside the cinema industry and outside. But it might not last. At the minute, I only answer to my own ideas, even if I try my hardest not to be conscious about myself and about what I do. In fact, the person I trust least to talk about my work is myself."